´Drive to Arrive´ provides quality driving tuition to all standards of drivers from beginners to advanced level, for individuals or companies. Driving is a life skill, which can only be developed by investment in time and training. 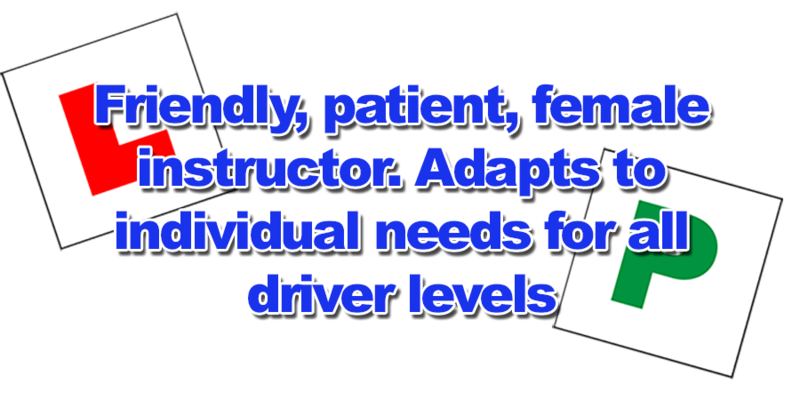 Drive to Arrive has a friendly female instructor with a manual training car, but can also deliver tuition in a client´s own vehicle. Whatever your goal, answering the questions below, will help you to plan your way forward with ´Drive to Arrive´. • Are you new to driving and want to gain a licence, whatever your age? • Do you want an experienced, high grade instructor? • Do you want to drive safely for life, not just learn to pass a test? • Do you hold a licence from another country and need to take a UK test? • Are you returning to driving after a break? • Are you a driver who has no confidence after a collision? • Do you dread driving on the motorway? • Do you feel intimidated by other drivers or heavy traffic? • Do you want to improve your driving so that you and your passengers feel safe? • Do you lack confidence in parking, crossing dual carriageways, etc? • Do you want to familiarise yourself with UK roads having moved from another country? • Do you want to be more aware of your surroundings to become a safer driver? • Do you want to complete your journey safely with less stress? • Do you want to pass an advanced driving test? • Do you want your employees to drive safely? • Do you want to promote your brand by the demonstration of safe driving? • Do you want to comply with legislation covering driving at work? • Do you want to reduce collisions and insurance costs to your company? • Do you want to reduce the running costs of your fleet? • Do you want to have a robust policy on the safe use of vehicles in the workplace? See the relevant page for your area of interest. For further details and a friendly chat to discuss your requirements please contact us.